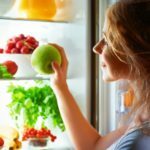 Refrigerator repair pros share some power outage tips. Liebherr home appliances continue to enjoy elevated status among Texas consumers. Although the units are generally able to withstand summer brownouts and storm related interruptions, there will be times when Liebherr refrigerator repair experts must step in and analyze flashing symbols or codes for homeowners. On a good note, most warning notices that tend to appear after power hiccups are often signaling minor problems as opposed to significant events. For example, did you know that some temperature settings must be reset after brownouts? It’s true. Otherwise, the Liebherr brand appliance will invariably sound an alarm or flash a service code. The codes generally indicate that the freezer or fridge has an internal temperature that’s within the danger zone. We’ve discussed food danger zones several times before in other posts. Consequently, we won’t cover them again today. Those that may have missed the previous discussions are welcome to review our blog or reach out to our Liebherr refrigerator repair team for answers. Without question, there are also other alarms that may crop up after a power outage or surge. A few of the alarms that our Liebherr refrigerator repair team members often see are associated with the appliances’ doors, drawers and filters. For the record, they are typically quick, alarm problems to resolve as well. Also, there may be occasions where our team members can walk homeowners through the resolution process over the phone or via e-mail. As such, when it comes to door and filter alarms, there may be no need for an in-person visit. With that in mind, do you want to know more about electrical interruptions and how they may negatively impact home appliances? If so, please contact our Liebherr refrigerator repair technicians online or by phone. We’ll do our best to discuss as many easily correctable, warning codes with you as possible. Posted in Appliance Repair, Uncategorized and tagged appliance repair, refrigerator repair.